Owen Arthur: The Zombie who would not Die! It is all rather simple. 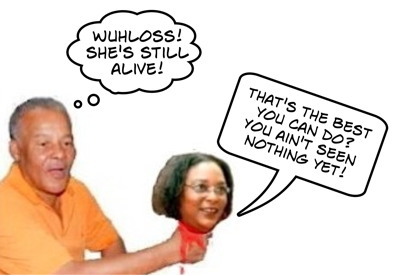 Owen Arthur has not been able to take down Mia Mottley. He has been too smart by half: sucking and blowing, saying he supported her as Deputy Prime Minister but not as leader of the party because of her, well, her particular situation. Then Owen tried a comeback that didn’t work out so well. Then he resigned as leader after badly blowing the election. Now he wants back… or wants Mascoll to be PM and BLP leader. But Mia hasn’t been able to rally enough support to shut down the torture. BLP stalwarts are being tortured to death by the drip drip drip drip of the Owen Arthur leaking faucet. “Like a migraine headache lurking just below the threshold in the brain: threatening to return but never really surfacing. 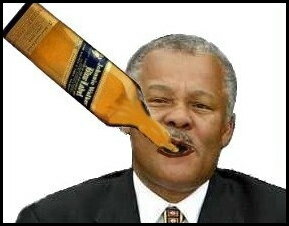 Albert Brandford has his opinion too. Can “One man, one vote” stamp-out BLP corruption?